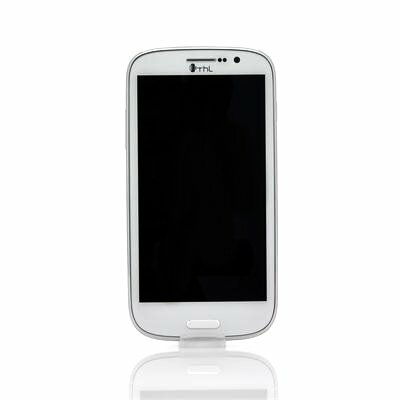 Successfully Added ThL W8S Quad Core Phone - 5 Inch 1920x1080p 440PPI IPS Screen, Android 4.2 OS, 32GB Internal Memory, 2GB RAM (White) to your Shopping Cart. ThL W8S is a slim 5 Inch Quad Core + 2GB RAM Android 4.2 Phone with a 1920x1080p 440PPI IPS screen and plenty of storage due to 32GB Internal Memory. Designed and manufactured by ThL, which have more than 10 years of experience manufacturing phones, this 5 inch phone combines a 1.5GHz MTK6589T Quad Core CPU and a Power VR SGX 544MP GPU which is combined with 2GB of RAM for the ultimate performance. Coming with a pre-installed Android 4.2 Jelly Bean operating system, the THL W8S uses one of Android’s most advanced operating systems with a different flavor. This operating system is faster than previous versions and will provide a high level of customization options and a big online application store that has 700,000 plus apps. This phone has shredded some fat and slimmed down than previous ThL models, however it has not cut down on specifications or internal memory. Having 32GB internal memory means that this ThL phone can store plenty of data and files, but if you want to expand you can via the built-in micro SD card slot that supports up to 32GB of additional memory. The ThL W8S features a high-end 5 Inch full high definition screen with a resolution of 1920x1080p and a high 440 PPI, which is greater than most high street brands, therefore watching videos will be an enjoyment as the quality is amazing. 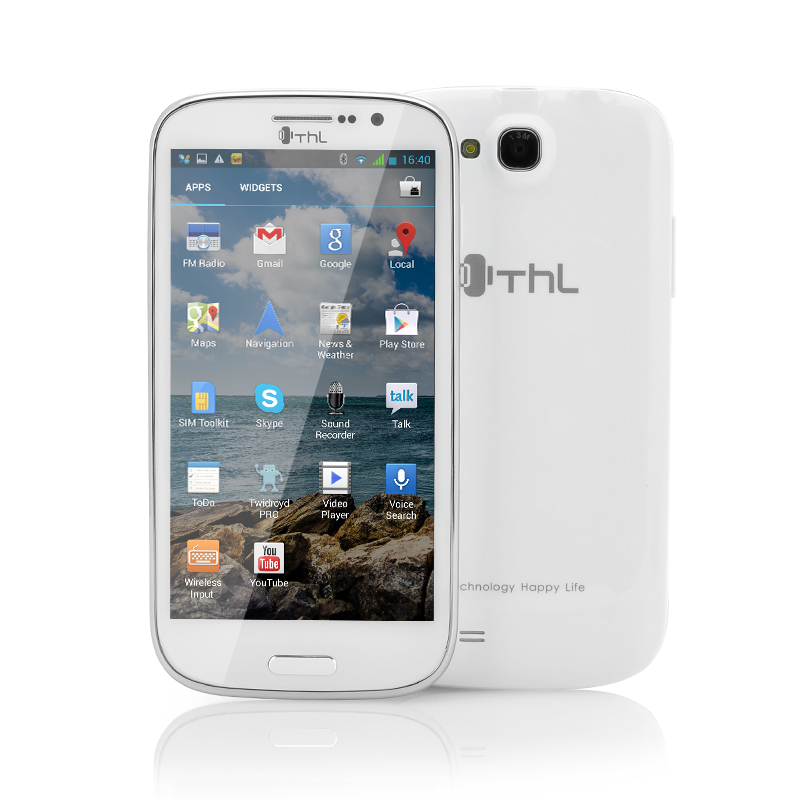 The ThL W8S has dual WCDMA SIM that enables you to keep work and private life separated while you only use one phone. This product is in stock and can be dispatched within 24 hours of ordering with a 12 month warranty. Brought to you by the leaders in wholesale electronics and android phones, Chinavasion. El GPS no es muy exacto, incluso tuve que incorporar otra app y configurar el gps para que pudiera funcionar pero de manera inexacta algunas veces. Y el speaker se escucha algo bajo. También la batería se consume muy rápido sin usar el teléfono. Great phone, especially considering the price. Scores about 15500 on antutu which is only slightly less than a galaxy s3 but this phone has a better screen and camera. Really really impressed. Managed to get 3 full days (leaving phone switched on overnight) of light use out of one charge leaving data, wireless and bluetooth off when not in use so the battery is no slouch either. Delivery was extremely fast with DHL. Had to pay VAT and excise before they'd deliver but was expecting this. GPS is useless but that is the case with all phones with the mtk5689(T) chipset. If GPS is a must have best avoid. There is a partial fix that can be done on rooted devices that improves the chances of lock somewhat but it still isn't great. Very nice phone. For the money i paid you can't get a better phone. Delivery is also fast and if you have some questions the chat with chinavasion is perfect. Battery is not so good, only one day and the sound speeker could be much better.